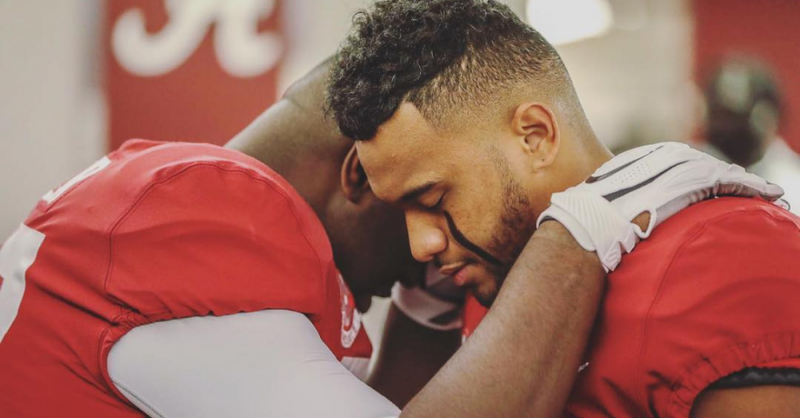 Football is not the only thing Tua Tagovailoa practices, he lives and practices his faith just as often and just as hard. Read how faith is Tua’s strength. Nick Saban knew there was something more special about Tua Tagovailoa than just his impressive mind and throwing ability. He was the first recruit he remembers going to church with him every time he was in Tuscaloosa. Saban, a devout Catholic, knew that if he signed this young man, he wouldn’t have to worry what he was doing at 2am in the morning and that he would be a natural leader others would gravitate to and want to emulate. Saban had already heard stories of how this young man and his entire family were deeply rooted in Evangelistic Christianity. He didn’t miss a Sunday in church, was faithful to attend Bible study and not afraid to publicly speak of his faith and demonstrate his willingness to witness to others. While most young men dream of making into the NFL to buy fancy cars and a millionaire’s lifestyle, Tua talked of helping his pastor, who is also his uncle, build a bigger church after he made it into the NFL. 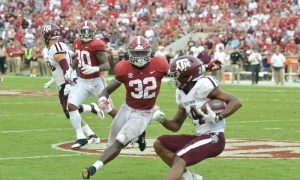 There were lots of schools vying for Tua’s services, but perhaps besides feeling comfortable with Saban and his sincere Christian beliefs and his record of helping others, one of the bigger things to attract Tua to Tuscaloosa was a large group of players already on the team that heavily promoted their own Christianity, the comfort that came from group prayers and the Southern charm of the city and the people in it. He felt the warmth and comfort he was accustomed to from his city in Hawaii. When Tua looked at potential sites, he scouted churches in the area as well academics and football. He liked the feel of Church of the Highlands in Tuscaloosa, even though it’s a big place, it was comforting to him. They reached out to students, meet up in smaller groups and helped him feel like a member of a family quickly. It’s hard to underestimate how the prevailing Christianity on the team, his coach and the community helped land Tua. After all, he was coming to team where they already had an established star and earning playing time wouldn’t be easy. But with Tua, there’s a huge difference between faith in himself and cockiness. Tua bought into Saban’s process early on, work hard, learn your job, constantly improve know that good effort would be rewarded, bad effort would also earn you what you deserved. Tua has the capacity for very strong faith, both in his love and devotion to God and in himself as well. Now that he’s the starting quarterback, Saban’s early thoughts of Tua have all come true. He is the example that others on the team want to be like. Not just in his performance as a player, but in his attitude and lifestyle as well. To some who think Christians are a little reserved and too “goody two shoes”, they’re just all wrong. Tua is a jokester and someone that all that all the players like being around. 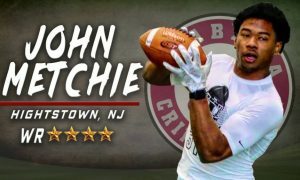 He’s a fun guy who is enjoying his college experience, his buddies and all that comes with being a football player at the University of Alabama. During his freshman year, Tua would watch the frustration of so many of the receivers not getting the chance to prove their skills. Alabama was a place where a quarterback turning the ball over was something you just weren’t supposed to risk. Jalen was a bit gun shy at times and it showed. 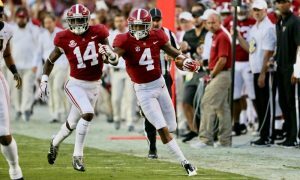 When Tua got his chance, he not only had faith in his ability to get the ball where it needed to be, but his receiver’s abilities to fight for and come down with the ball. That faith in trusting your brother to do his job became infectious and today it has become ingrained on every member on the team. That faith has even rubbed off on Jalen Hurts who now seems to trust his own ability to air it out and let his men do their jobs. Now when Hurts is in, the play calling doesn’t change, even the coaches who call the plays have gotten the faith bug and trust Hurts to do whatever they may have asked Tua to do. Fans should know just how many times Tua puts his faith in practice. He does it constantly. One example was during prepping for the LSU game, the biggest game of this season at the time, took time to call a young cancer victim and big Alabama fan via Facebook facetime to talk to him and offer to pray for him. When you watch this young man play football, it’s easy to marvel at his ability, God given ability according to Tua. But while you’re astounded in the level of play he posses, be equally impressed the quality of the man inside the uniform. Watch him on the bench as he goes from player to player, offering not just encouragement, advice and friendship, but prayer. From the press box I’ve noticed Tua praying with and for players at least a dozen times during the game and I wasn’t watching him that closely. His faith is sincere and it’s not just something he believes, but practices. And just as he practices football hard and with all he has, so does he practice that faith and the strength he gets from both makes him a true treasure to watch.